Today I’m showing you a super simple recipe that I tend to make at least once a month as a side dish. 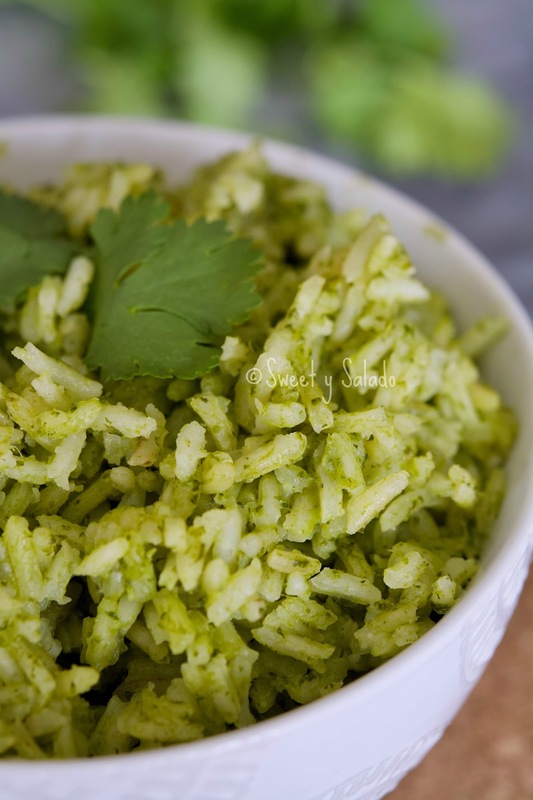 Arroz verde (green rice) is a dish that people love to make especially to celebrate a special occassion and like many other recipes I have posted, it varies depending on the country. In Mexico, for example, they love to make it spicy by adding hot peppers like jalapeño. But today we’re making a bit more tame. 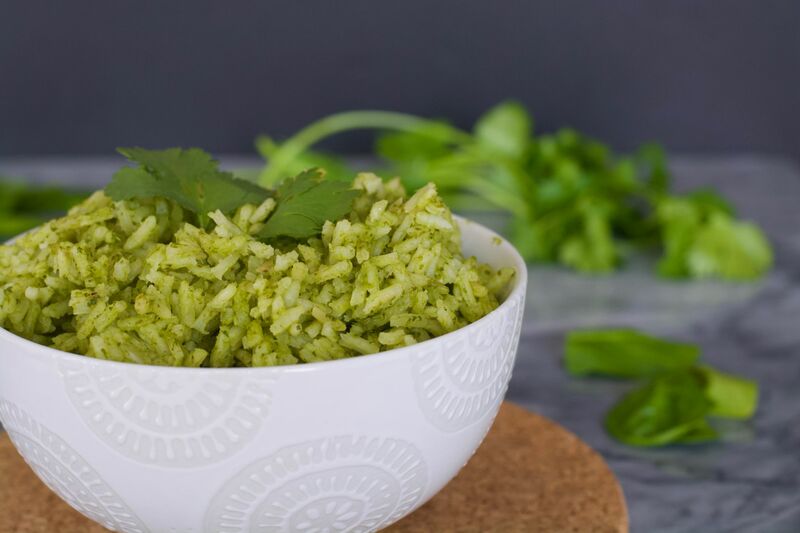 The green color is obtained mainly by the spinach, which practically has no flavor but gives the rice a super vibrant green color. And the flavor comes from two key ingredients, cilantro and milk. For the recipe I show in the video I used regular whole milk but I have also made it with coconut milk and it comes out amazing. 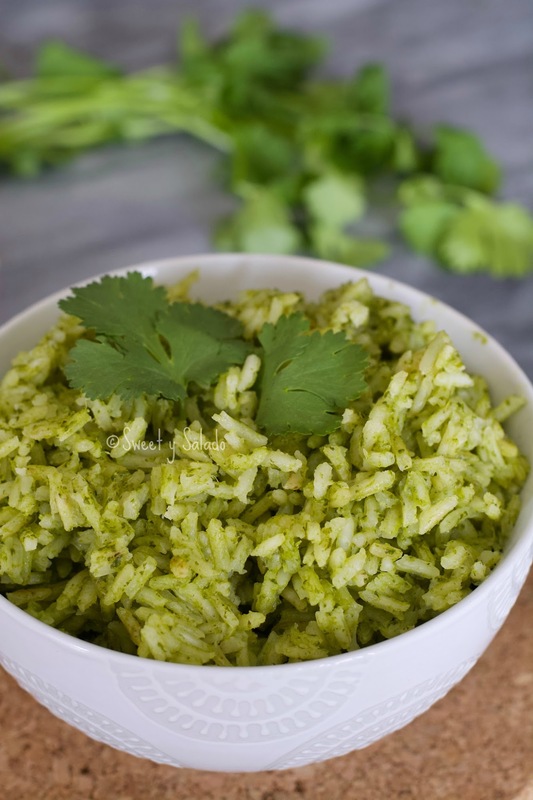 If you don’t like cilantro you can also make it with parsley, but the flavor changes a bit. And if you want to add any other ingredient while it’s cooking, you can also do it with no problem. Carrots, peas, peppers and corn will give it an amazing variety of colors when you serve it. Blend the spinach, cilantro and chicken broth in a blender for a few minutes until the spinach is well blended. Add the milk and salt to taste and blend again. Set aside. In a medium pot heat the oil over medium high heat and add the rice. Cook the rice until it starts to turn golden brown. If using fresh onion and garlic, you can add them at this point and cook for about 2 minutes. Add the spinach mixture, onion powder and garlic powder and stir. Cover the pot, bring to a boil, then reduce heat to low and cook for 20 minutes or until all the liquid has evaporated. Remove from the heat, let it rest for a few minutes and fluff with a fork before serving.